We’ve all been there… In a rush, get to the car only to realise that the windscreen is iced up with no means to defrost it quickly. Most cars don’t have a heated front windscreen and certain car engines take an age to warm up and using a scraper can take an age to clear all the ice. So if you haven’t a bottle of deicer at hand, what’s the quickest way to defrost a car windscreen? In the UK where temperatures usually don’t plummet to Arctic levels, pouring a jug of lukewarm water onto your windscreen does the trick – but avoid making the water too hot. Pouring boiling water onto a frozen window stands the risk of cracking your windscreen, so test the water first to ensure it’s lukewarm only. First start your engine and have the blowers concentrated on the windscreen. Have a cloth or some form of scrapper ready. A credit card will do. Now evenly pour the jug of warm water from the top of the windscreen from one side to the other. You should then be left with either a clear windscreen or a little slush. Wipe or scrape away the slush. 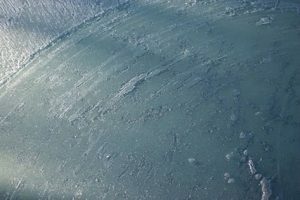 You might be left with some stubborn deposits of ice on the windscreen, so avoid turning on your wipers right away as you may risk damaging the rubber on the blades. In the coldest months, the water has a tendency to refreeze quickly, so ideally, purchase a cheap squeegee and scrapper which you can wipe away the water immediately after pouring. This also saves you from damaging your wipers. If you intend on pouring warm water on other windows, be careful to avoid getting water into the door seals. Once the water hits the cold metal, it’ll freeze making it difficult to open the door and whilst doing so may also risk damaging the rubber door seals. It’s becoming increasingly easier to purchase cheap goods online. Windscreen deicer in particular is not only highly toxic to humans and the environment, but if you’re not entirely confident of the contents of your bottle, certain products may contain chemicals that can damage vehicle paintwork such as Ethylene glycol. A little warm water is also far cheaper. Preventing an icy windscreen is of course the ideal situation. Magnetic windscreen covers are easily attached and removed and are cheap to purchase. This one-time purchase also means you’ll be spending less on deicer. When a rush, it can be tempting to wipe the condensation from the inside of a misted windscreen using our hands. This often results in smears leaving the window blurry. The most effective and quick method is to use a microfibre cloth. Microfibre cloths soak up large quantities of liquid and do not leave smears on windows. Keeping a couple of these cloths in your glove compartment will prove beneficial, plus packs are cheap to purchase. 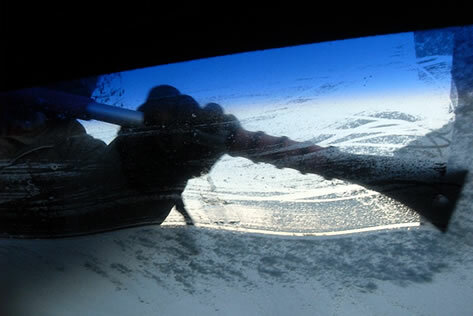 For your own safety and that of others, it’s important to remove snow and ice from all windows and lights. You’re likely to be stopped by police if you’re driving with your view of the road impaired by ice or snow and if your lights, indicators and number plates are not kept clear. The penalty of ‘driving without due care and attention’ or ‘using a motor vehicle in a dangerous condition’ can see a driver face penalty points and a fine. Remember also that your door mirrors may require deicing. Along with the risk of prosecution, if a traffic accident occurs, an insurer may not payout, or reduce a payout if it is deemed that the driver was negligent in preparing the vehicle for safe use on public roads. Even leaving the snow on your car roof may result in potential issues. Braking can see snow falling forward over the windscreen obscuring your view and accelerating may see snow clumps falling off into the path of other motorists, particularly affecting vulnerable road users such as cyclists and motorcyclists. Leaving an unattended car running is illegal and may see the owner hit with a £20 fine (doubling if not paid within a certain time). Not only is this illegal, car thieves keep a keen eye out for unattended vehicles left running. Unsurprisingly, car insurers take a dim view of this as it’s practically handing thieves the car along with the keys, often resulting in lower payouts on claims. Due to the environmental impact of vehicle use, leaving the car engine running on a public road even if it’s occupied may result in a fine if it’s deemed unnecessary.